EnglishToday I collected some of the things that are inspiring me on the process of elaborating new ideas and projects. I also love the color palettes that have come out. I start with these cute envelopes shaped like birds. Love the idea to give a shape to the envelope, endless possibilities! You can buy them at Upon a Fold. 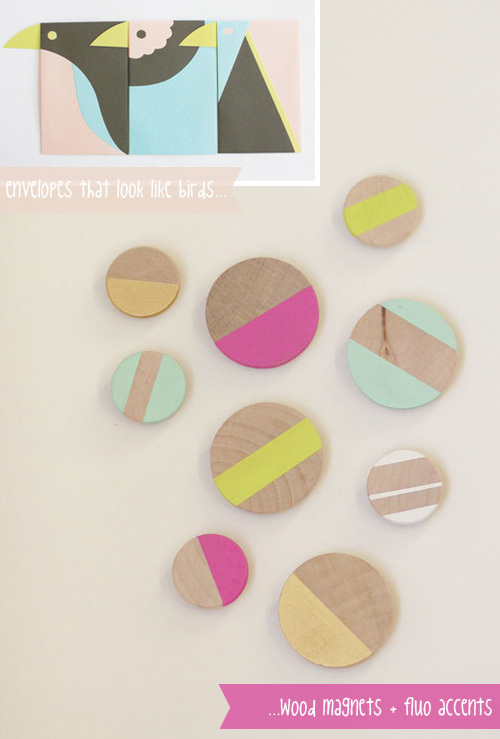 And a perfect combination of pastels and fluo colors on these rounded wooden magnets. Find them at Swoon Studio. I’m in love with all the little hand cut triangles. These tags are adorable. 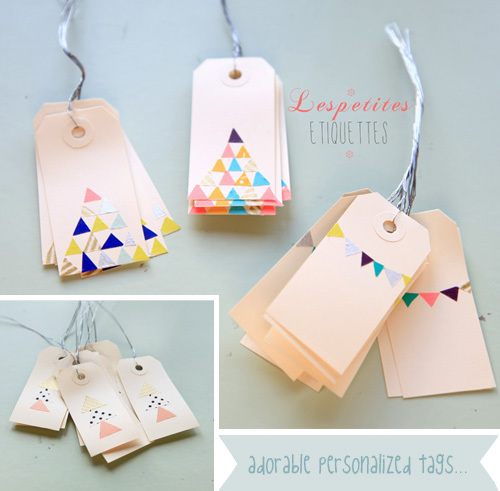 They have been made by Emilie from Griottes. Paper art works that don’t need extra words. I could observe them for hours. Fantastic. 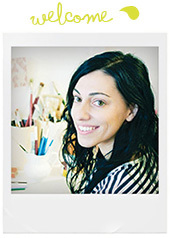 Find more about the artist, Lesley Dill, here. This is too funny! The idea of having floating baloons with confetti inside and colorful tails, made me want to organize a party! Saved it on my “Parties ideas and inspirations” board on Pinterest. ItalianoOggi ho creato una collezione delle cose che mi stanno ispirando in questo momento nell’elaborazione di nuove idee e progetti. Mi piacciono molto anche le palette di colori che ne sono uscite. Parto con queste carinissime buste a forma di uccellino. Mi piace l’idea di dare una forma inusuale alla busta, e le possibilità sono infinite! Le potete comprare su Upon a Fold. Una combinazione perfetta di colori pastello e di colori fluo insieme su questi magneti in legno rotondi. Li trovate su Swoon Studio. Sono innamorata di tutti questi triangolini tagliati a mano. Queste tag sono adorabili. Sono state realizzate da Emilie di Griottes. Trovate altri lavori dell’artista, Lesley Dill, qui. Questi sono troppo divertenti! 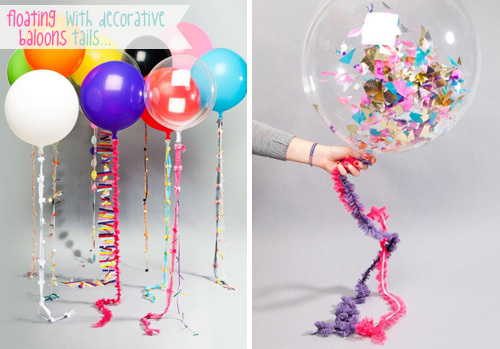 L’idea di avere dei palloncini fluttuanti pieni di coriandoli e code colorate, mi fa venire voglia di organizzare un party solo per avere lascusa per realizzarli! 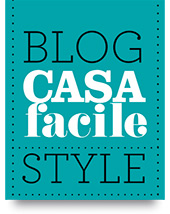 Già salvati nella mia board “Parties ideas and inspirations” su Pinterest. E qui c’è il post originale. Great stuff. 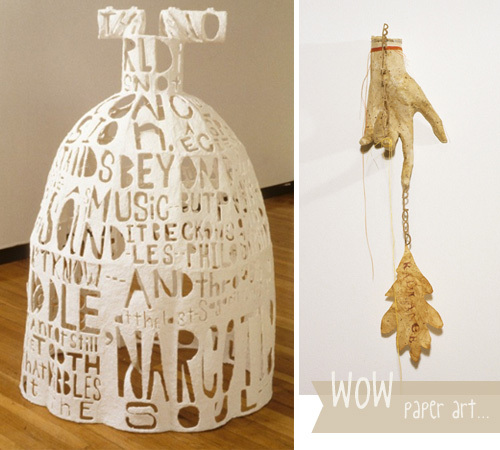 I also love the paper art by Lesley Dill. 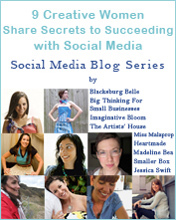 Wonderful inspirations! I especially love Lesley Dill. I saw an exhibition of hers (4 times in 3 weeks) at a local museum about a year ago. I’ve been inspired by her and her work every day since. Woah, her exhibition must be something AMAZING! I think I would have visited it at least as much times as you! !